Many of our reviews are posted initially on Facebook or Google Maps. We moved them here for easier viewing. LOVE my time with Kaye!!! It’s made a HUGE difference in my functional capacity and endurance!! !—not just physically, but mentally as well!!! Kaye is a master at working with people with autoimmune issues and the chronic fatigue and pain that can accompany them!! !—almost 7 months down and not a fibro flair yet!!! As a registered dietitian, I trust her completely with my clients and it makes SUCH a difference in their progress to better health as well!!! I love working with a Kaye! She gets my crazy life and still motivates me to get my workouts done. After having hip surgery and having chronic pain for almost a year, I was at a very low point. I was unable to live my very active lifestyle that I had prior to my injury and had struggled with emotional eating following surgery. I had attempted to work out on my own after surgery, but I was not getting any results due to my physical limitations and pain. I was referred to Kaye and instantly felt comfortable with her sweet and funny personality and the amount of knowledge she possessed about the body and fitness. I have been training with Kaye since the summer of 2015 and I can not say enough amazing things about her. She took the time to get to know my body and specifically my injuries and works around my physical limitations all while encouraging me on this chronic pain journey. I have gotten so much stronger (physically and emotionally) and continue to pursue a more active lifestyle thanks to Kaye. She is truly a blessing to my life and many others. Kaye is an incredibly knowledgeable and professional trainer with a wonderful personality; she will definitely push you beyond your mental and physical limits. She knows exactly how to train you to get the most out of your body, mind and soul and she is always available to encourage and inspire me. The best part about working with Kaye is that she is hilarious and always insightful. She keeps me laughing always, and adds a fun element to every workout to keep me motivated and working at my peak. She is a good communicator and fully explains all exercises and strictly enforces proper form to avoid injuries. Some of the so-called “trainers” I see in the gym sure could take a lesson from Kaye! I have had the privilege of knowing and working with Kaye Otis for several years. 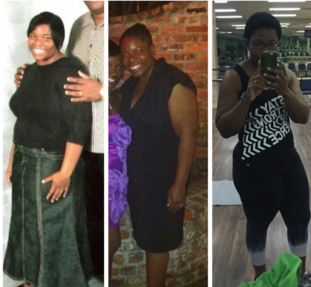 In 2005, I began a weight loss journey and ventured into one of Kaye's group exercise classes. Kaye remained with me during my weight loss journey which took about 20 months and total a loss of 121 pounds. Kaye is smart, knowledgeable, compassionate, empathetic, demanding and encouraging. She will push you to your limit and be your biggest cheerleader all the time keeping a smile on her face. 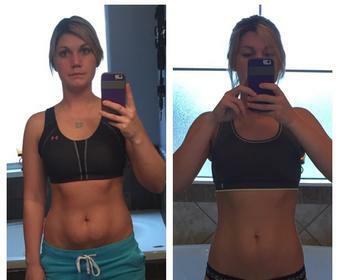 Kaye is successful because she has a passion about fitness and a passion for helping people. She cares about her clients and wants them to succeed. I am so glad I went to that class and found Kaye. She is a great trainer, great inspiration and is now a great friend. I started with Kaye shortly after a two year struggle with cancer and multiple surgeries, and needed understanding assistance and the right amount of "push" to allow me to return to my job safely (for me and my patients) as a physical therapist. I observed many trainers as I did my own workouts, and asked Kaye to train me based on what I observed as she trained others. Little did I know that not only does she insist on correct form (which is essential in injury prevention and optimal muscle recruitment), but she has a caring and compassionate nature and a drive to bring out the best in her clients. She is creative in planning sessions, and works in tandem with my goals. I feel blessed to know her and now call her not just my trainer but my friend! Highly recommend Titanium Fitness! Kaye told me, "trust the process", and it worked! The results are real. The change is possible, but I needed help. 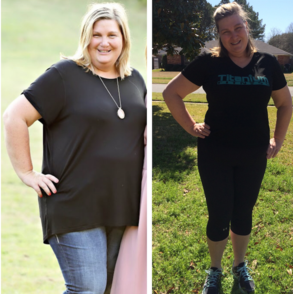 Kaye has helped me every step of the way from eating healthier to increased exercise. 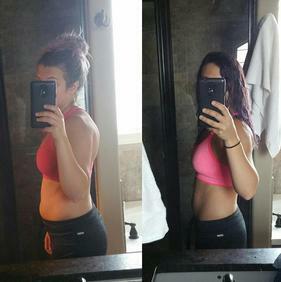 She has followed up with me to see how I was doing, which brought increased accountability. Kaye and I have known each other for years. She is not only my personal trainer but she is also my friend. She knows my limits and how far to push me. Without her energy and drive, I would not be where I am today. Kaye is the best. She actually takes the time to get to know her clients as individuals. She is truly a genuine person. She will take you to another level in so many different aspects of life other than physically. Kaye is an awesome trainer! She gets to know you as person so she can better help you get the result you want. She is encouraging and keeps you accountable. She is the reason I have stuck with exercising for 5 years straight. Here you will find your strengths, your weaknesses, and most of all - a friend. Kaye is a beautiful human being and her warmth radiates. Not only does she believe in you, but she makes you believe in yourself. You are worth it. You can do it. "Yessss you caaaan! C'mon....three, two, one...alright!!!" - Kaye at every workout. Also, when she tells you you are working out at her house and you think it will be an easy one...wrong. You will meet the Jesus wall and you will leave your sweat on her wall, but you will leave with much more than soreness. Serving Bossier City and Shreveport.